For ham radio operators, including storm chasers and volunteer weather watchers. 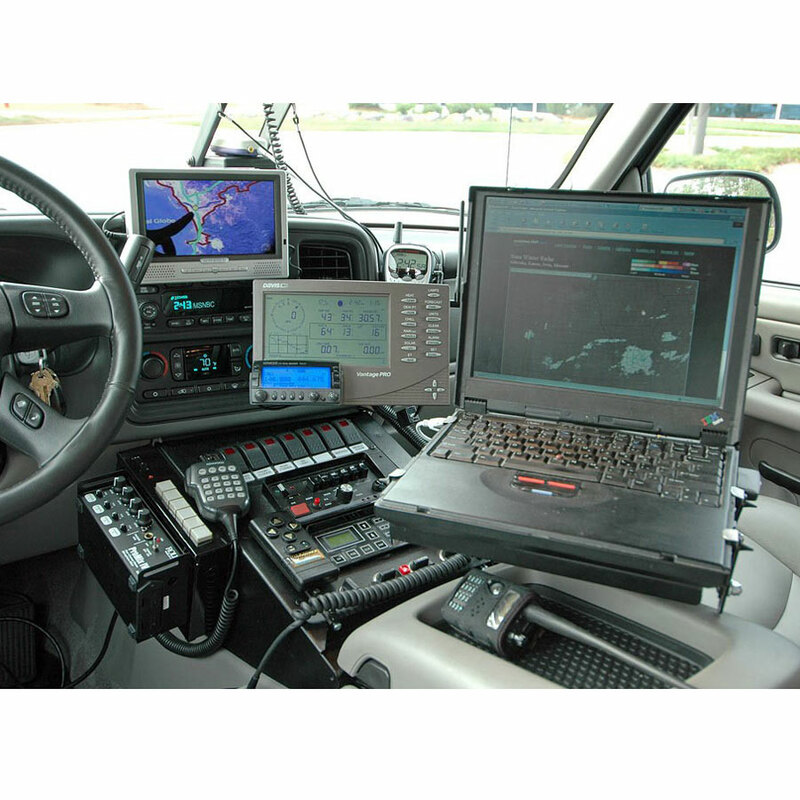 Connects a Vantage console, or Weather Envoy to a ham radio or TNC modem for instant transmission of both your location and the local weather condtions via APRS (Automatic Packet Reporting System). With WeatherLink for APRS, ham radio operators, including storm chasers and volunteer weather watchers can connect a Vantage console, or Weather Envoy to a ham radio or TNC modem for instant transmission of both your location and the local weather conditions via APRS (Automatic Packet Reporting System). Data submitted via APRS lets emergency personnel map changing weather conditions in real-time, and also helps the National Weather Service develop improved weather prediction models. 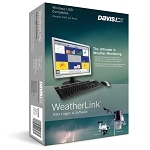 Data logger simultaneously logs and stores the data, which can later be downloaded to your PC for all the graphing, charting, and analysis included with our standard WeatherLink. To track multiple stations on the same computer, add one WeatherLink for each station. To view the same weather station on multiple computers, add one #06510X Extra User License for each computer. Includes streaming data logger, software on CD, and an 8' (2.4m) cable to connect the data logger to your computer or modem. Requires Windows 2000/XP/Vista with an available serial port. Not for use with WeatherLink for Mac.